Australia needs climate action, but political wrangling may see it come too late writes Sara Bice, socio-political commentator from the Melbourne School of Government at the University of Melbourne in a series of articles leading up to 2 July. Election Analysis: Australia needs climate action, but political wrangling may see it come too late writes Sara Bice, socio-political commentator from the Melbourne School of Government at the University of Melbourne in a series of articles leading up to 2 July. Attention to national issues in the federal election campaign was momentarily diverted overseas this week, as Prime Minister Malcolm Turnbull became embroiled in the Brexit debate, pending the UK’s vote on continued European Union membership next Thursday. The EU question is particularly concerning to Australians living and working in the EU and to businesses reliant upon the EU as the nation’s second largest trading partner and largest single source of foreign investment at $958.97 billion. Questions about international trade and Australia’s export potentials, however, hit closer to home than may be expected. This is particularly true when we consider Australia’s energy future, an issue to which both aisles of politics and a number of Not for Profits, at national and state levels, have recently addressed. 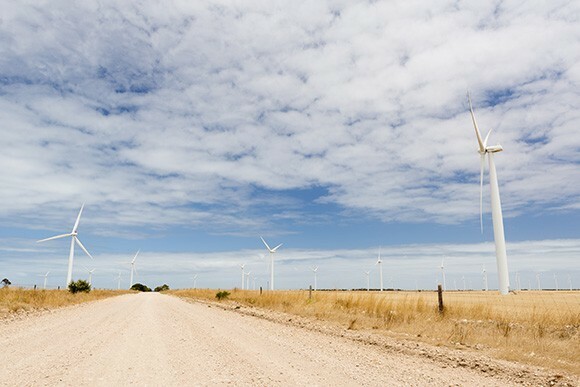 Victorian Premier Daniel Andrews this week launched new targets for renewable energy in the state, backing increased investment in solar and wind. While recognising that in today’s divisive political market state and national politicians are often in tension with one another, state-level actions in Victoria do reflect Labor’s commitments at the national level. Federal shadow minister for the environment, climate change and water, Mark Butler, recently launched Labor’s “climate change action policy”, calling for 50 per cent sourcing of renewable energy by 2030. This is in contrast to the Coalition’s renewable energy target of 23 per cent by 2020, with no post-2020 renewable target yet released. As well, the Renewable Energy: Future Jobs and Growth report, by Ernst and Young (EY) and the Climate Council, found that building 50 per cent renewables by 2030 would boost employment by almost 50 per cent more than if Australia stayed on its current trajectory. For the many Australian Not for Profits, including the Australian Conservation Foundation’s Climate Reality Project, Climate Action Network Australia and advocacy groups like Lock the Gate, the renewables debate is a lynchpin in generating climate change action in Australia. As Grattan Institute Fellow David Blowers wrote in The Conversation recently, renewable energy targets are really just a diversion from the need for Australia to develop a sound, comprehensive and committed climate policy. The argument arises, in part, from the continued disagreement between competing parties about the best way to tax or penalise those generators of “dirty” energy, mostly from brown coal. Labor is proposing an electricity sector emissions trading scheme, one which Melbourne Energy Institute researcher Dylan McConnell argues could reduce emissions while keeping consumption prices down. The spectre of unaffordable electricity is raised regularly by the coalition in opposition to various forms of penalty pricing, emissions trading schemes or carbon taxes. Environment Victoria’s Promise Watch 2016 shows the Coalition maintaining its abolition of the carbon tax and that the party’s “baseline” emissions reduction fund has been criticised by experts as generating little or no change in emissions and being inefficient and ineffective. The Greens, meanwhile, unsurprisingly lead all parties on energy transitions, with a 90 per cent renewables target by 2030 and progressive stances on clean energy investment and pollution reduction. But neither Labor nor the Coalition has committed to ending fossil fuel subsidies for big polluters, at least not in this election cycle. This must be frustrating for those Not for Profit groups continuing to face an uphill battle to secure better political buy-in into climate action that science tells us is necessary. At least in terms of which political party leads on environmental policies, voters are given a clearer choice in this election. And it’s a green one. 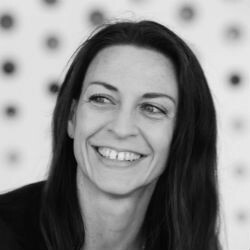 About the author: Sara Bice (PhD) is director of research translation, Melbourne School of Government at the University of Melbourne. With a decade of experience assisting private firms, Not for Profits and government agencies to plan and advance their sustainable development agendas, Bice’s career is committed to creating shared value for communities and companies through evidence-based decision-making, risk management and strong stakeholder engagement. Sara Bice (PhD) is director of research translation, Melbourne School of Government at the University of Melbourne. Cliffhanger Election 2016: Have we Reached Peak Disaffection? Where are the Women’s Issues in This Election?